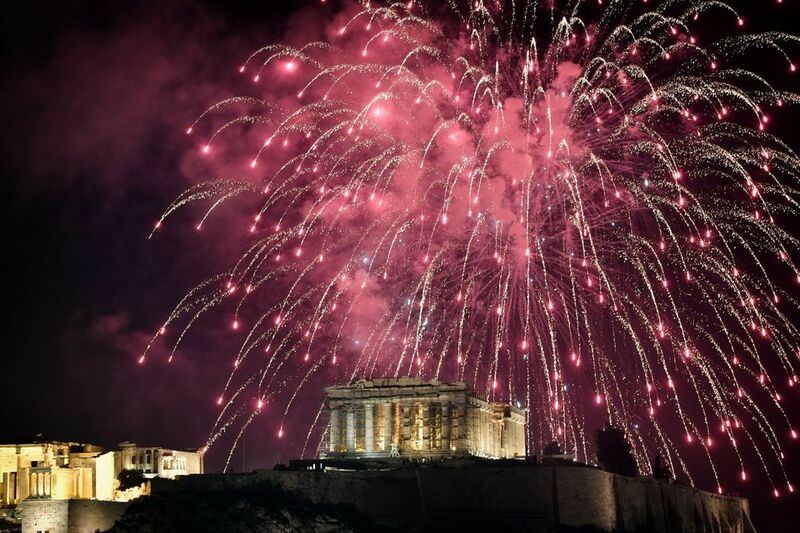 Woken up with a hangover….of New Year’s Celebrations? 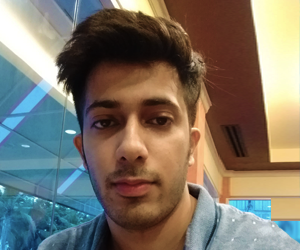 Go, make a coffee. 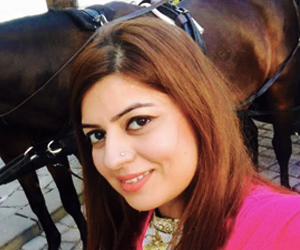 If you don’t know how to make one, ask someone to—politely and with love— or order one for yourself. 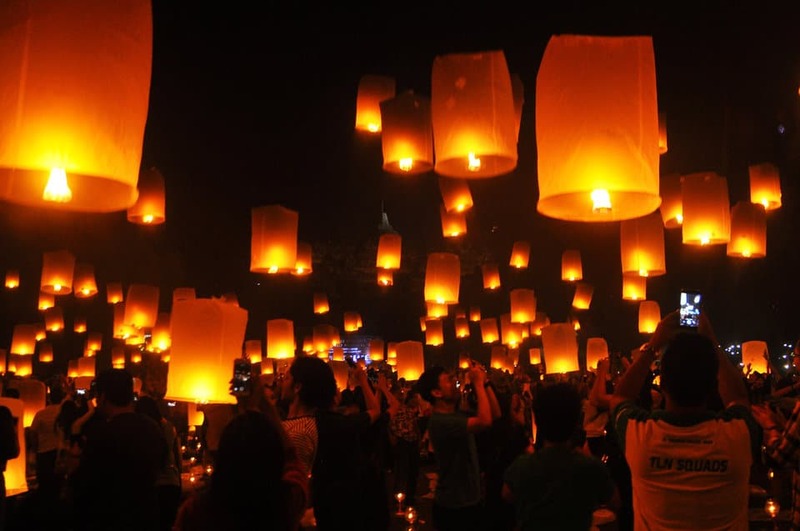 And check out these awesome New Year celebrations round the globe. 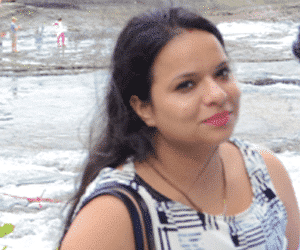 Thumbs up if you were in any of these amazing places. 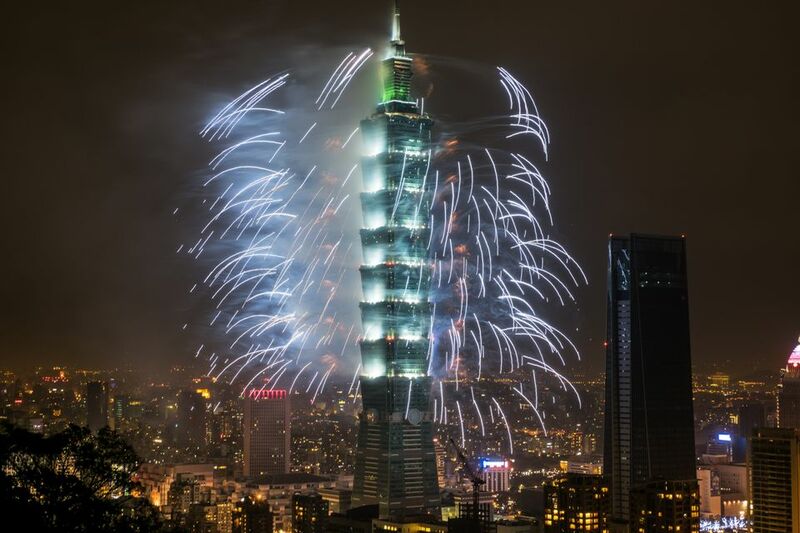 #Lovetheview Taipei’s skyline lit up by Taipei just after midnight on January 1, 2018. 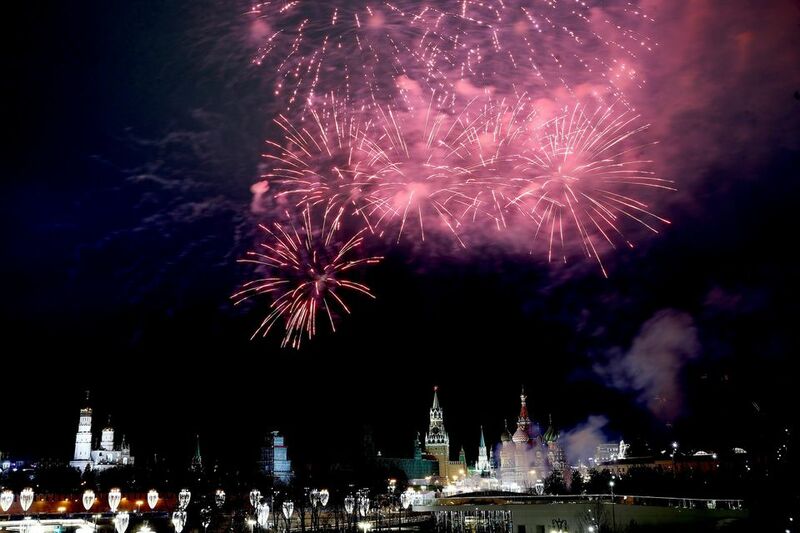 Fireworks light up the sky over the Bolshoy Kamenny Bridge with the Red Square and Kremlin Palace in the background during New Year’s celebrations in Moscow, Russia on January 1, 2018. 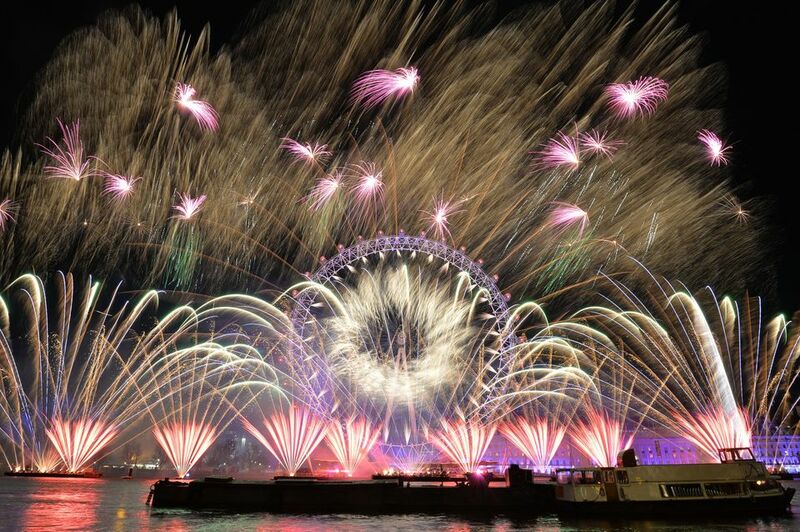 Fireworks light up the sky over the London Eye in central London during New Year’s celebrations. 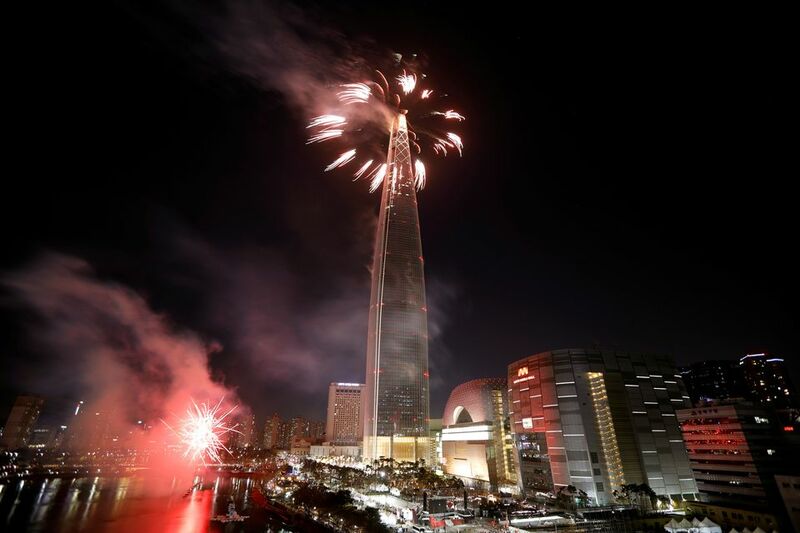 Fireworks explode over 123-story skyscraper Lotte World Tower during New Year’s celebrations in Seoul, South Korea on January 1, 2018. 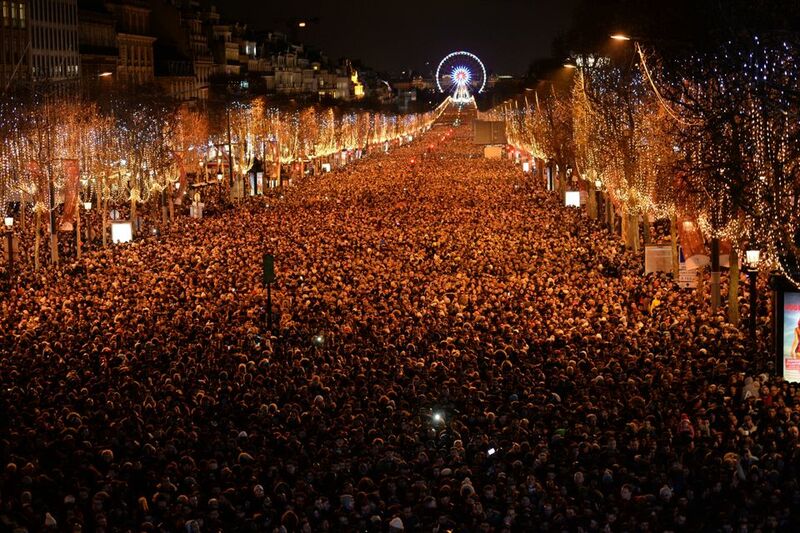 New Year revelers gather on the Champs-Elysees avenue in Paris on December 31, 2017. 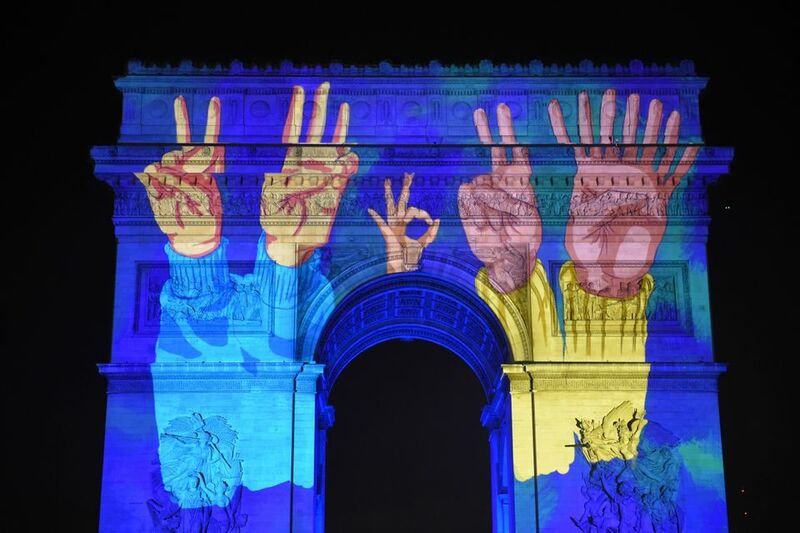 Images are projected on the Arc de Triomphe monument during a laser and 3D video mapping show as part of New Year’s celebrations in Paris on December 31, 2017. 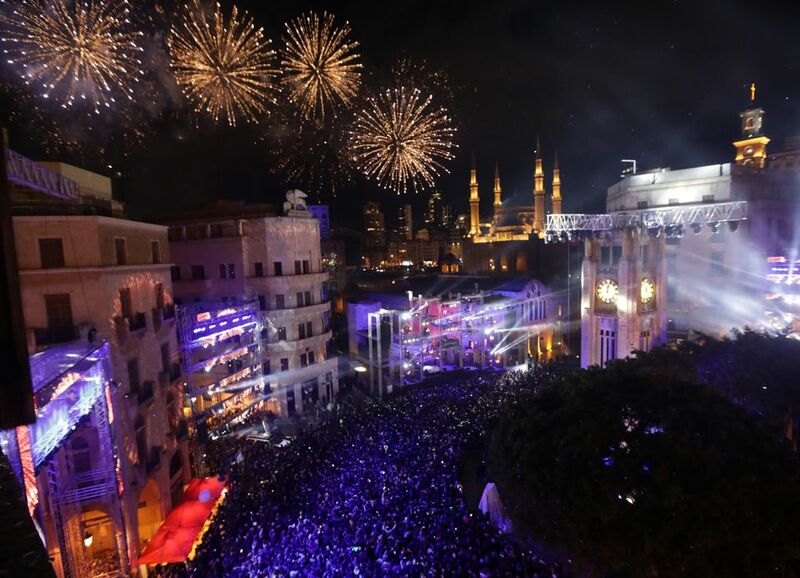 Fireworks explode over downtown Beirut, Lebanon during New Year’s celebrations on January 1, 2018. 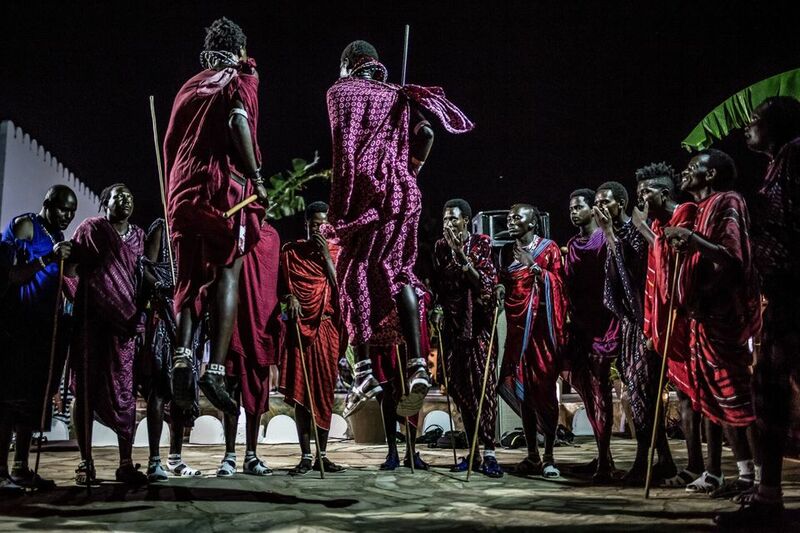 A group of Maasai tribe members perform a traditional dance during New Year’s celebrations on Nungwi Beach in Zanzibar, Tanzania on December 31, 2017. 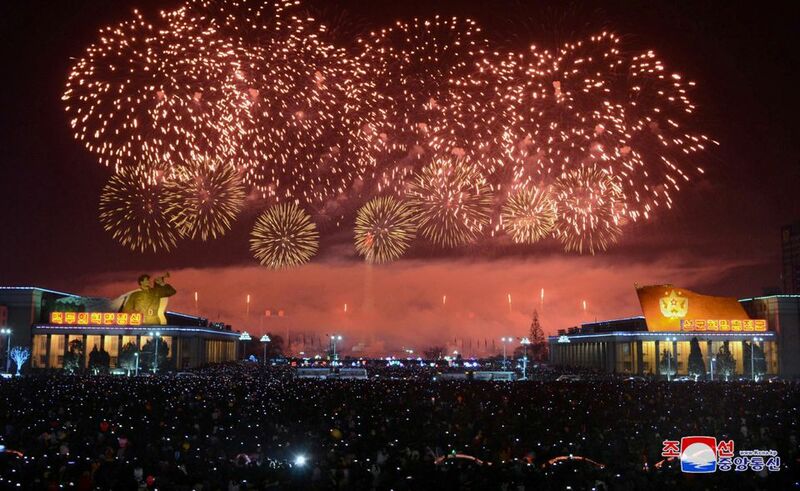 Fireworks are seen during New Year’s celebrations in this photo released by North Korea’s Korean Central News Agency (KCNA) in Pyongyang on January 1, 2018. 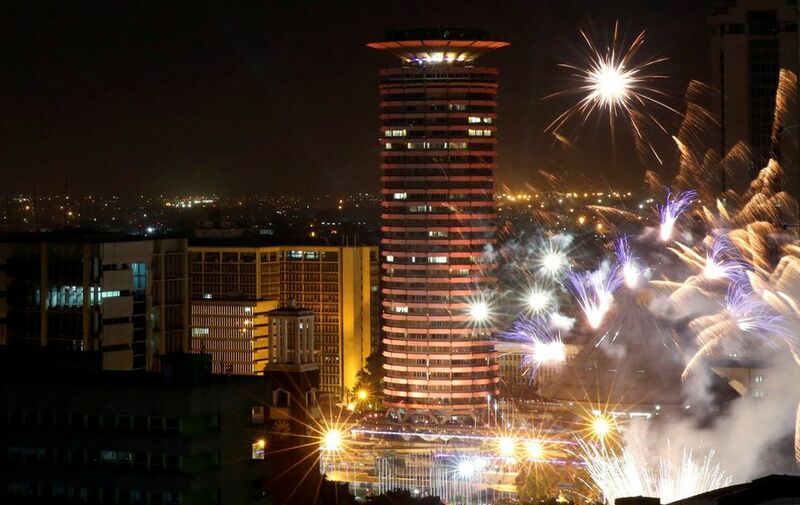 Fireworks explode over the Kenyatta International Convention Center square during New Year’s celebrations in Nairobi, Kenya on January 1, 2018. 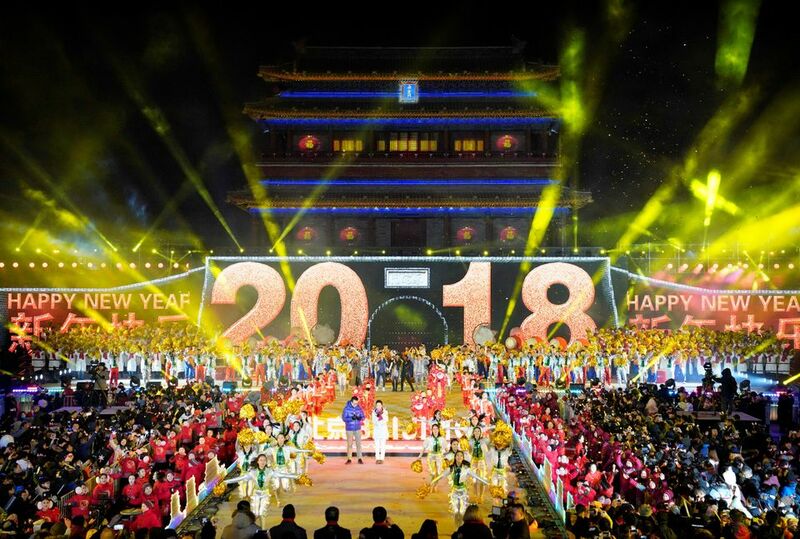 People celebrate the New Year during a countdown event at Yongdingmen Gate in Beijing, China on January 1, 2018. 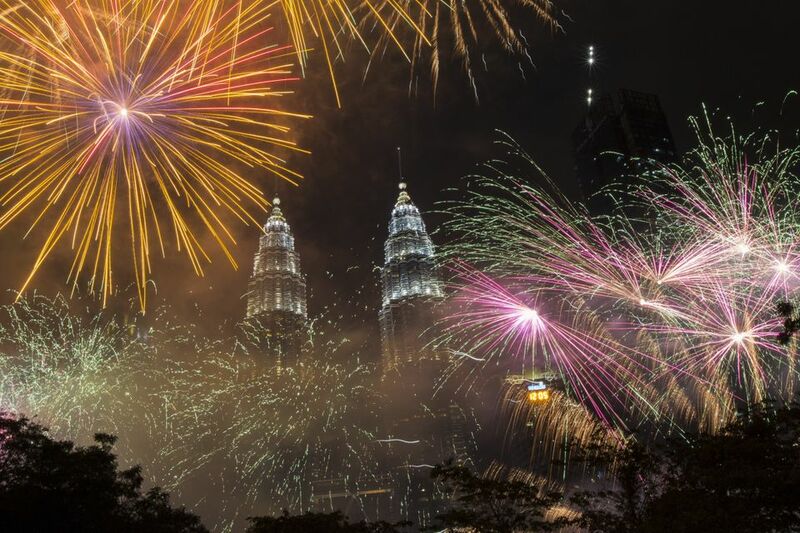 Fireworks light up the sky over Petronas Towers during New Year’s celebrations in Kuala Lumpur, Malaysia on December 31, 2017. 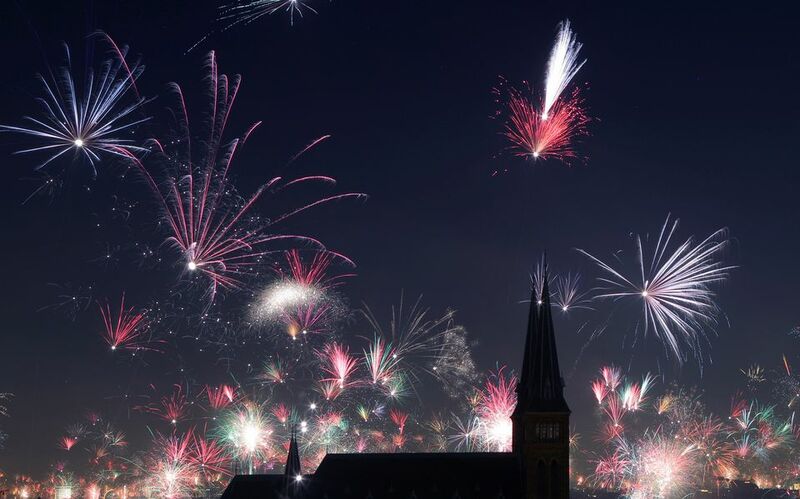 Fireworks explode around Familienkirche church during New Year’s celebrations in Vienna, Austria on January 1, 2018. 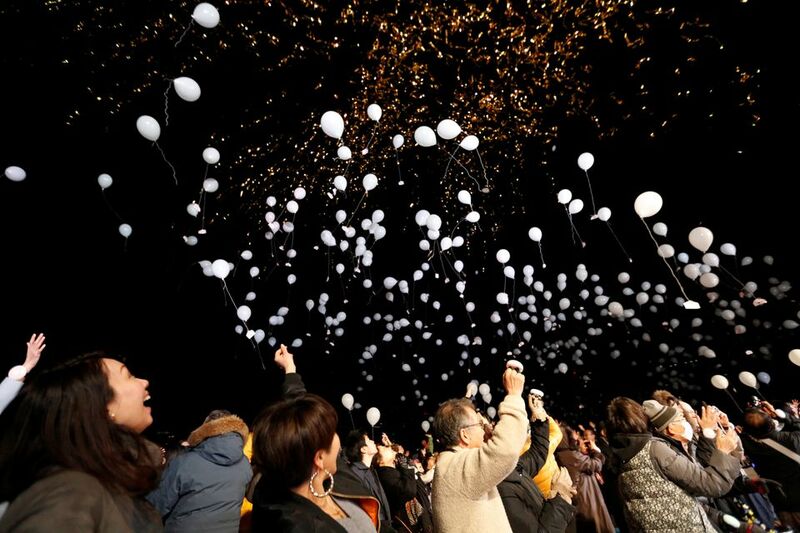 People release balloons as they take part in a New Year’s countdown event in Tokyo, Japan on January 1, 2018. 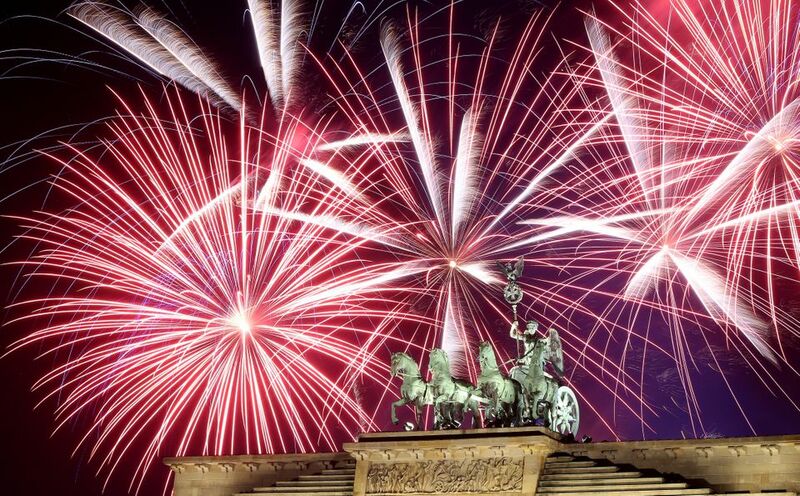 Fireworks explode over the Brandenburg Gate during New Year’s festivities on January 1, 2018 in Berlin, Germany. 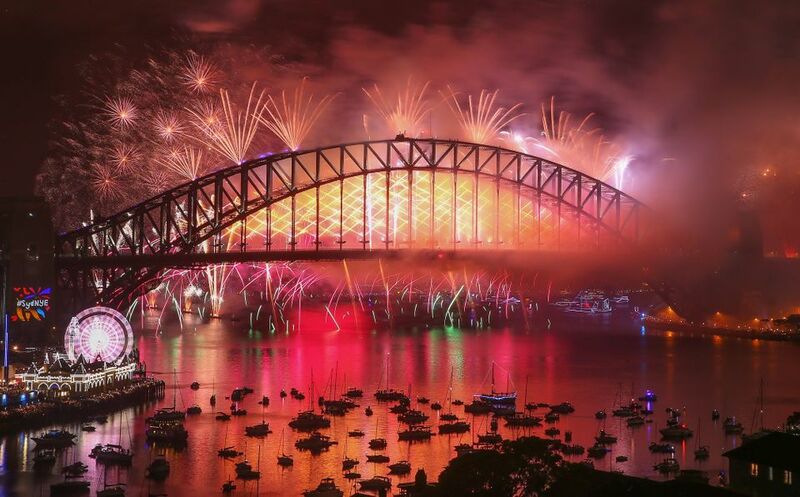 Fireworks explode from the Sydney Harbour Bridge and the Sydney Opera House during the midnight fireworks display on New Year’s Eve on January 1, 2018 in Sydney, Australia. 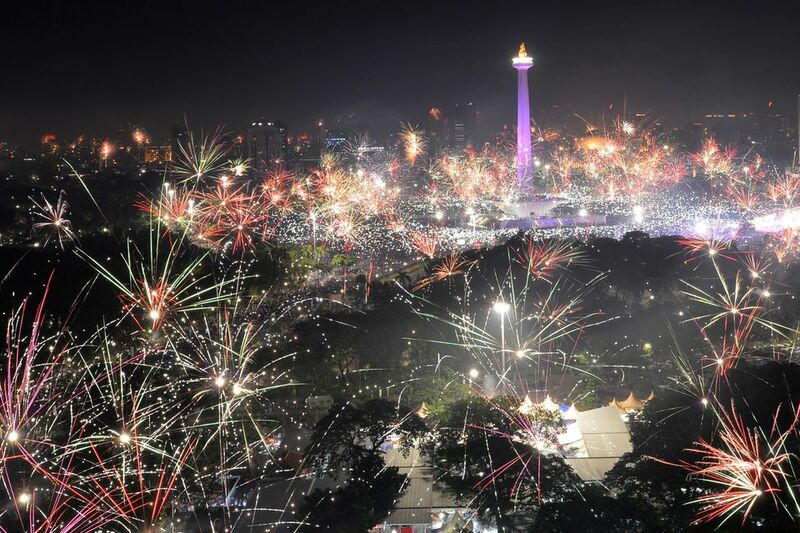 Fireworks explode around the National Monument during New Year’s celebrations in Jakarta, Indonesia on January 1, 2018.